I cannot stop gushing over my new hairdo for I never had straight hair since I was 18 years old and this short? It’s really a whole lot to handle and surprisingly, I can carry it off rather well. At least, that is what I think. 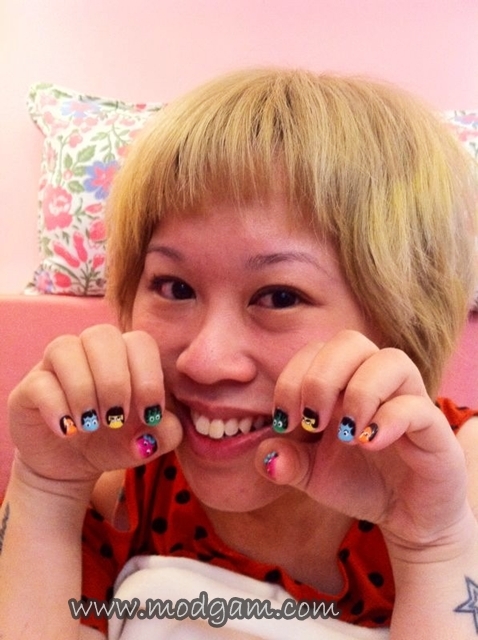 Hahaa Anyhow, Jaclyn is also excited after seeing my new hairdo and thus we came up with this nailart design! We are naming them ‘Twins Hairdo Fashion’. We discussed and came up with the different hairdo and had so much fun laughing away while Jaclyn works her magic fingers and does all the drawing. 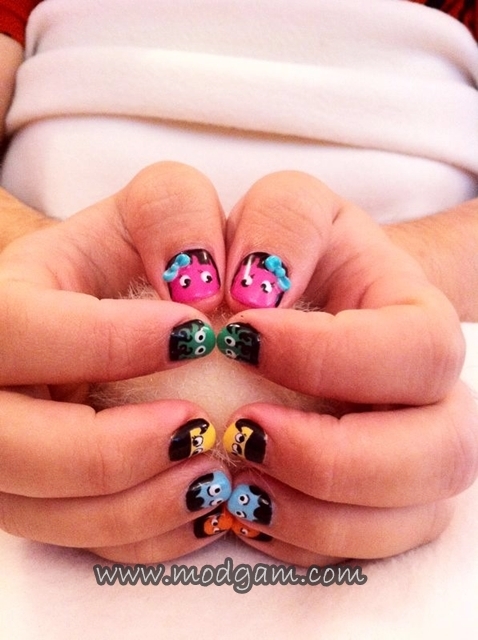 I am pretty sure you are as impressed as I do by now, after seeing so many of her hand painted designs on my nails. 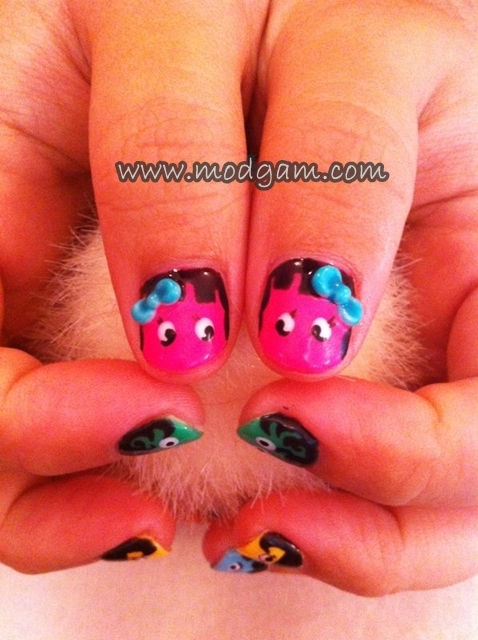 We even had the widest idea to have afro, superman, elvis hairdo on my nails. It was so much fun designing them. Christmas is approaching and if you want gorgeous nails that are different from others, I suggest you call LuxeWomen up now and have your appointment booked! I am very very sure you will be able to find something you like there and if not, the ladies there will be most willing to design something for you! LuxeWomen is always updating their promotions and updates on their Facebook page. Click HERE to add them now! You know you want beautiful and unique nailarts for Christmas so what are you waiting for? Call LuxeWomen and make an appointment! Wow these are extremely cute! hey hey nonfashionista, its been so long since i last saw u. how have u been?? thank you, these are indeed very very cute. hahaaa everyone who sees them cannot stop gushing along. I’ve been great! Just busy that’s all. Thanks for asking! Your always so caring and cheerful on your blog! Always with a smile on your face, I just love your pictures! How have u been? good to hear that all is doing great for u. im happy for u too. =] thanks so much really babe, its so nice to hear such encouraging words from my fellow blogger. you are also very sweet yourself. thanks for staying in touch and dropping by. i am doing good too and getting busy. super cute! any in NYC?